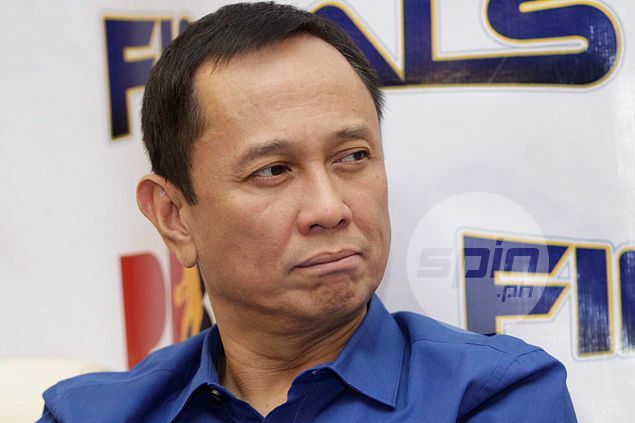 FORMER PBA commissioner Chito Salud has resigned from his post as president and chief executive officer effective at the end of the month, league sources told Spin.ph on Tuesday. A league insider told Spin.ph Salud tendered his resignation on Tuesday shortly upon his return from a vacation with his family in New Zealand amid a power play in the PBA ranks triggered by the appointment of Chito Narvasa as new commissioner. Salud resigned as commissioner last February but was prevailed upon by the league board to take on a new role as president and CEO under a power-sharing set-up where he was to stay in charge of all matters outside game-related issues, which was supposed to be the new commissioner's sole domain. However, sources said the son of former commissioner Rudy Salud has grown frustrated over the past few months as Narvasa's role expanded, encroaching into what was supposed to be his turf. Over his first few months as commissioner, Narvasa has bypassed Salud in handing down key decisions, primarily the banning of Spin.ph contributing writer Snow Badua and Mahindra consultant Joe Lipa which insiders insisted should've been handled by Salud. The final straw, a source added, was Narvasa's decision to take over the marketing arm of the pro league which the league board has already approved. Salud was unavailable for comment at posting time.